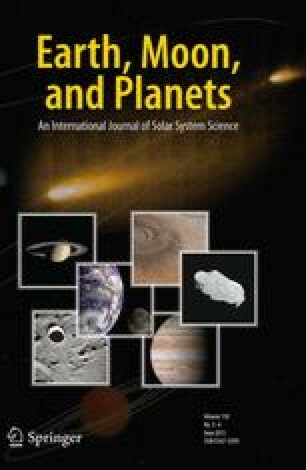 The bright comet Hale–Bopp provided the first opportunity to follow the outgassing rates of a number of molecular species over a large range of heliocentric distances. We present the results of our observing campaign at radio wavelengths which began in August 1995 and ended in January 2002. The observations were carried out with the telescopes of Nançay, IRAM, JCMT, CSO and, since September 1997, SEST. The lines of nine molecules (OH, CO, HCN, CH3OH, H2CO, H2S, CS, CH3CN and HNC) were monitored. CS, H2S, H2CO, CH3CN were detected up to rh= 3–4 AU from the Sun, while HCN and CH3OH were detected up to 6 AU. CO, which is the main driver of cometary activity at heliocentric distances larger than 3–4 AU, was last detected in August 2001, at rh= 14 AU. The gas production rates obtained from this programme contain important information on the nature of cometary ices, their thermal properties and sublimation mechanisms.Line shapes allow to measure gas expansion velocities, which, at large heliocentric distances, might be directly connected to the temperature of the nucleus surface. Inferred expansion velocity of the gas varied as rh-0.4 within 7 AU from the Sun, but remained close to 0.4 km s-1 further away. The CO spectra obtained at large rhare strongly blueshifted and indicative of an important day-to-night asymmetry in outgassing and expansion velocity. The kinetic temperature of the coma, estimated from the relative intensities of the CH3OH and CO lines, increased with decreasing rh, from about 10 K at 7 AU to 110 K around perihelion.